Hey, folks. 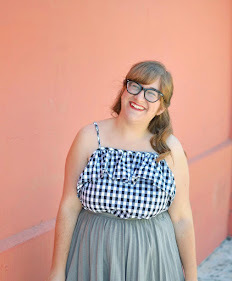 You can find me over on Flock Together today, where I'm wearing Amy of A. Loo's Closet's polka dot skirt. Knowing my unhealthy obsession with polka dots, I'm sure it's not hard to guess how much I love it. See you over there! 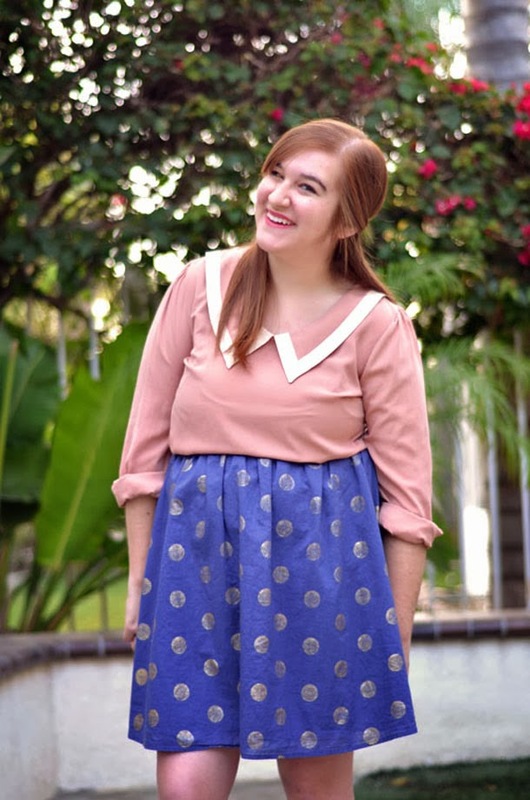 What a fun spotted skirt! I like how the spots are silvery! This is such fun outfit. Love the collar detailing on the blouse. Ha ha! "unhealthy obsession with polka dots"! that's too funny. I've never heard of such a thing..... you look adorable and I love that top.... especially that fabulous collar! Gah! Your outfit is stunning, I can see why you love that skirt so much!